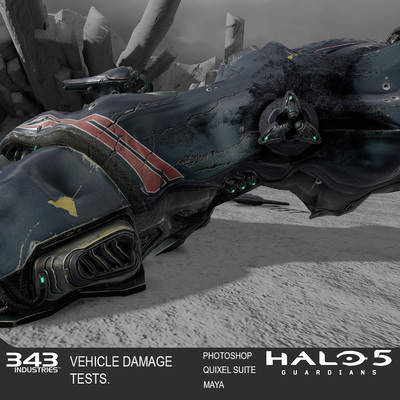 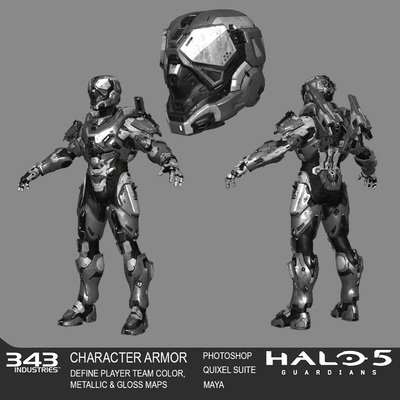 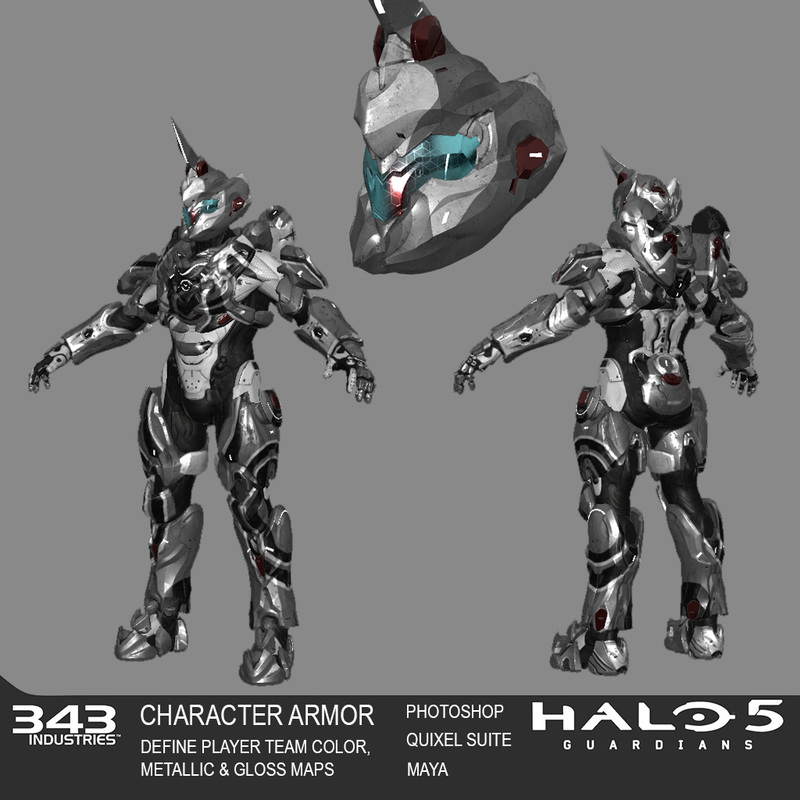 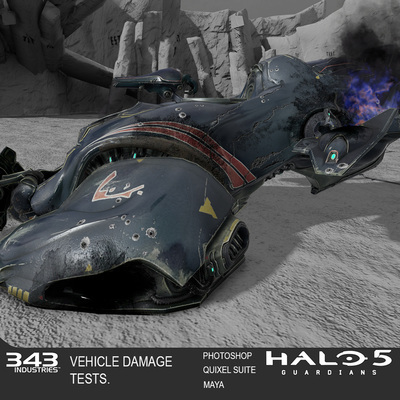 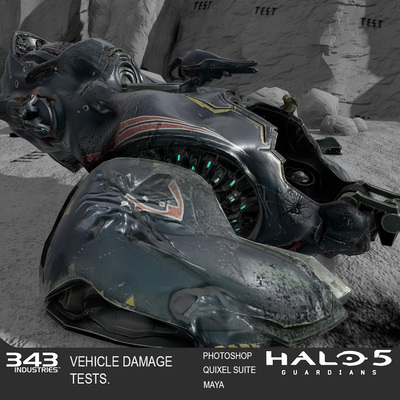 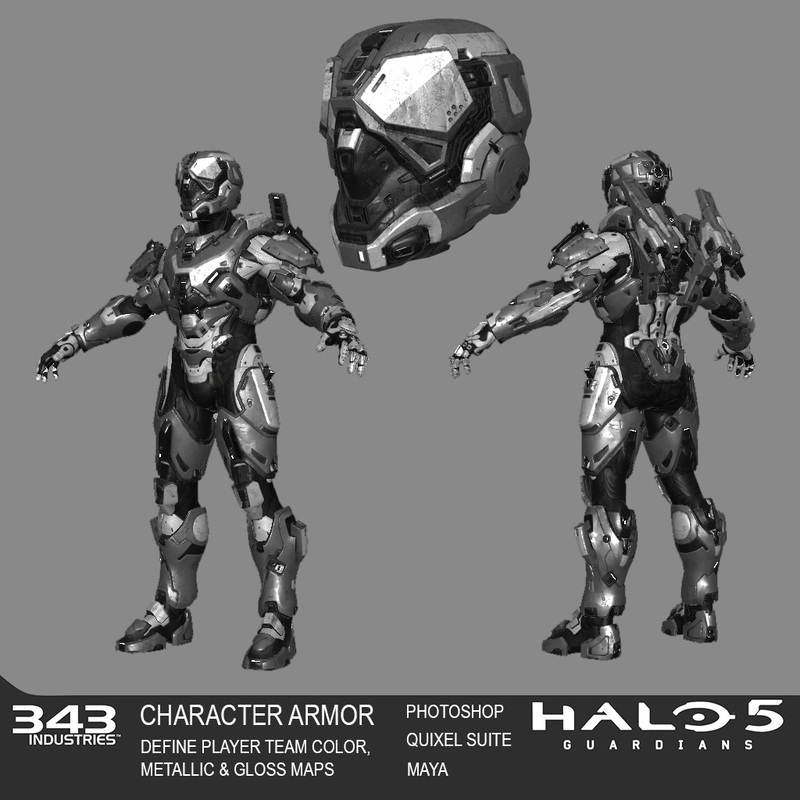 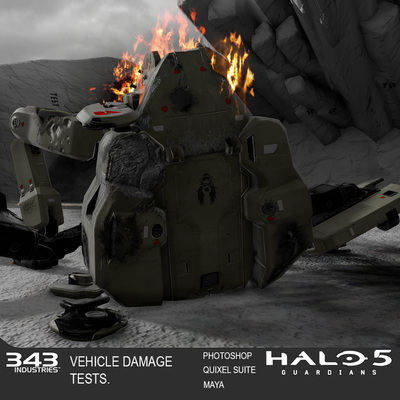 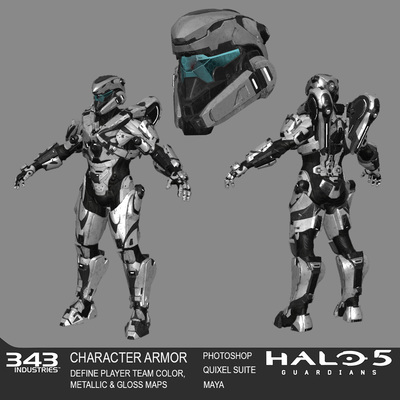 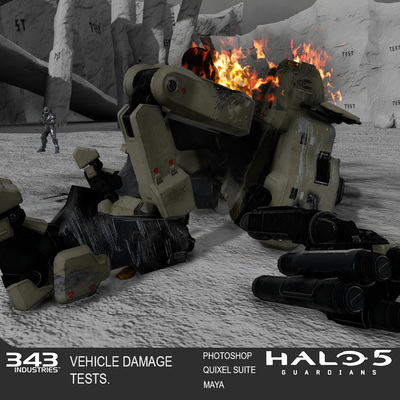 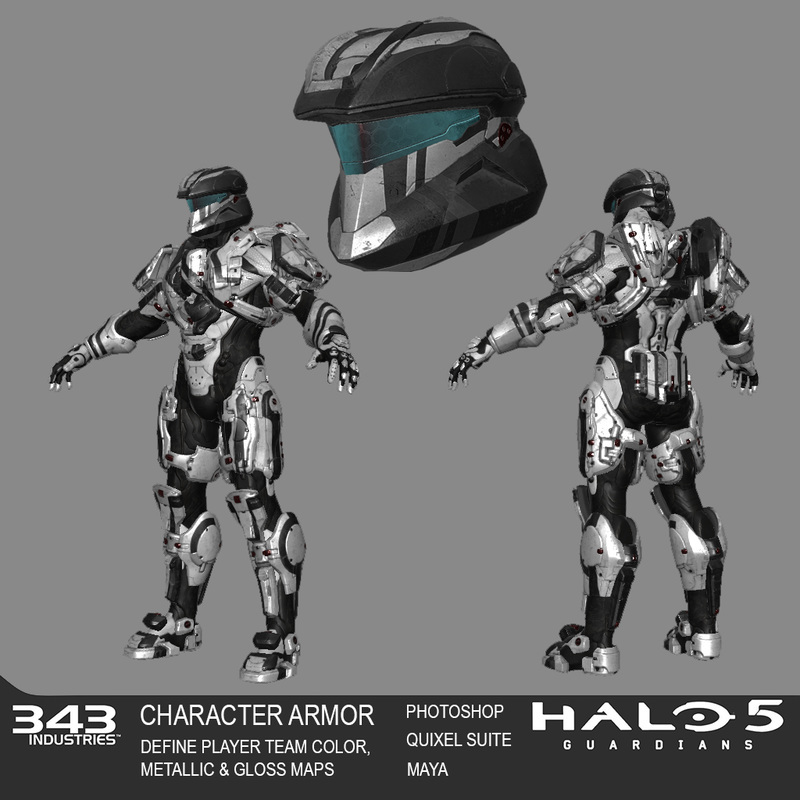 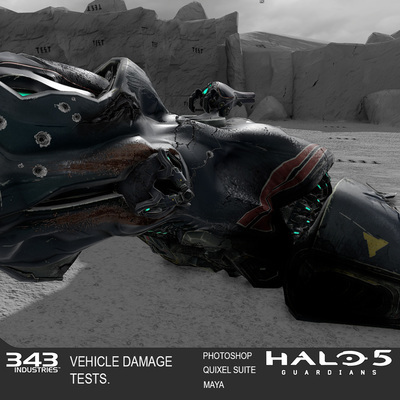 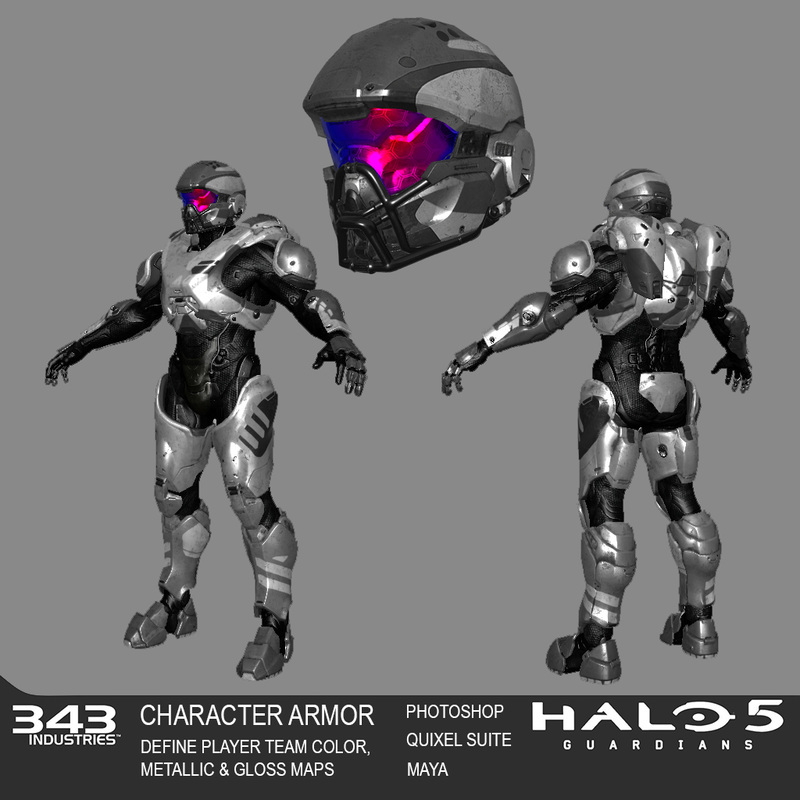 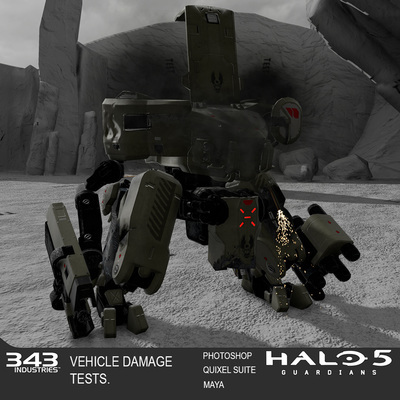 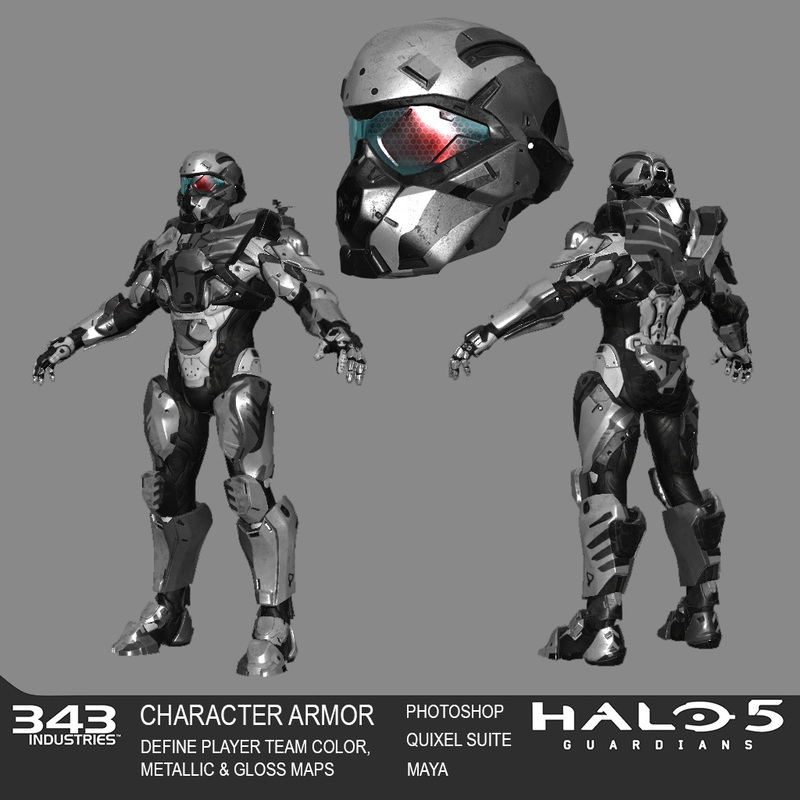 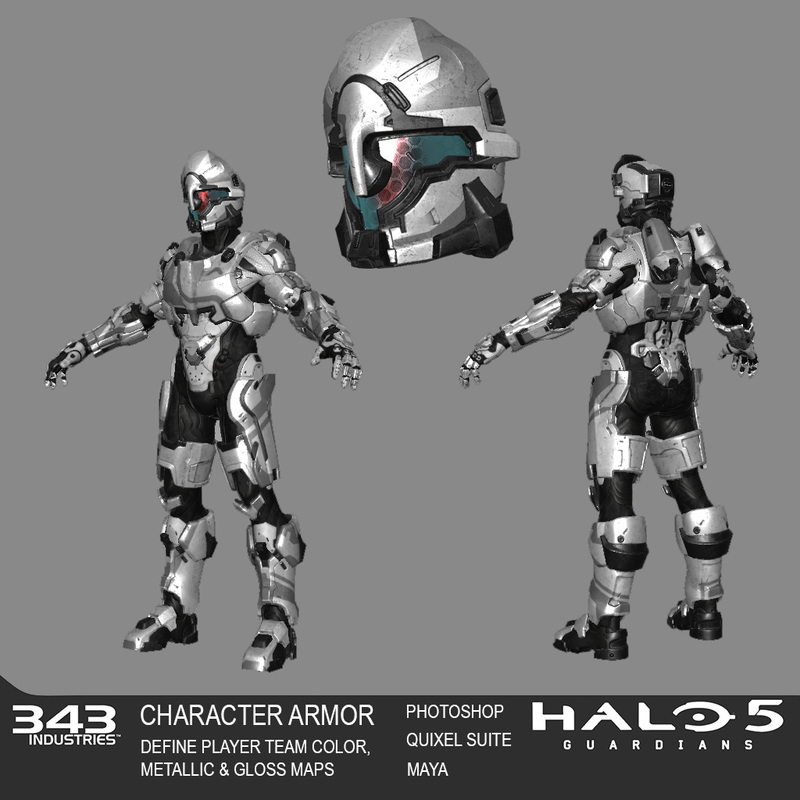 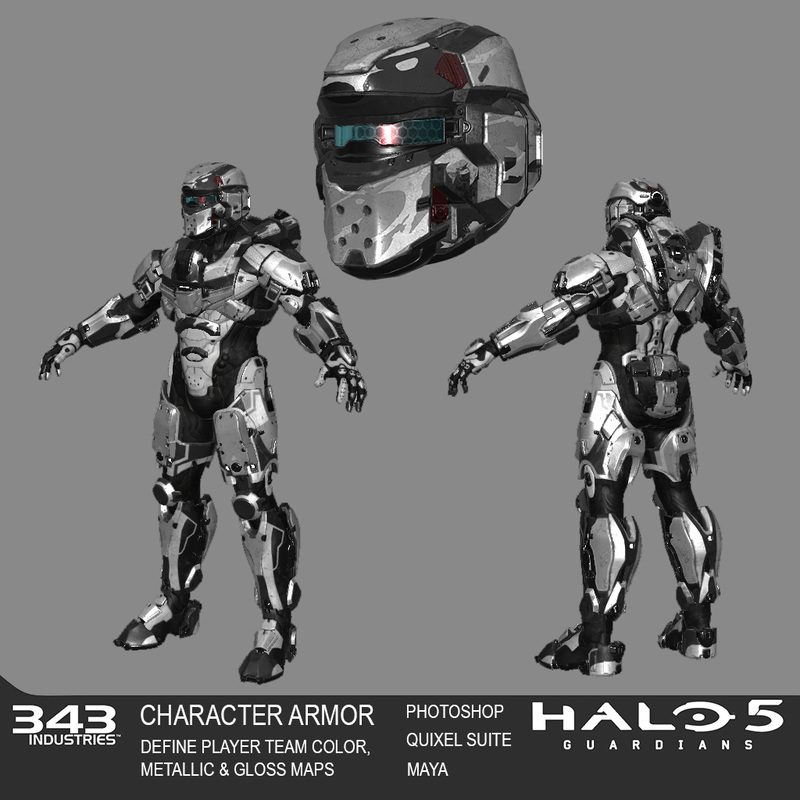 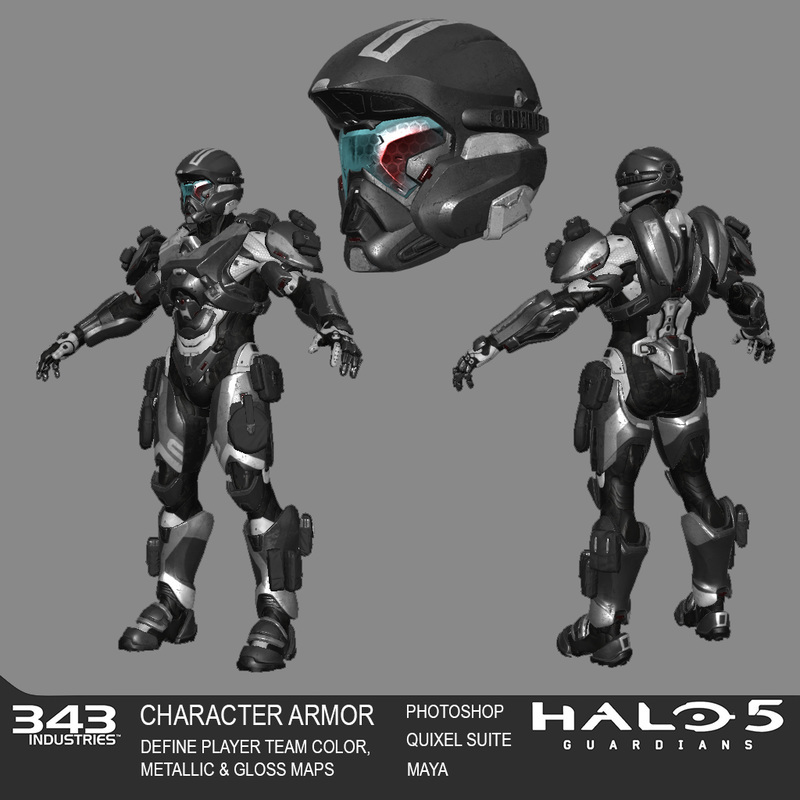 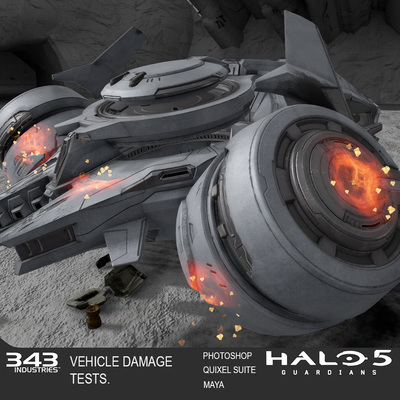 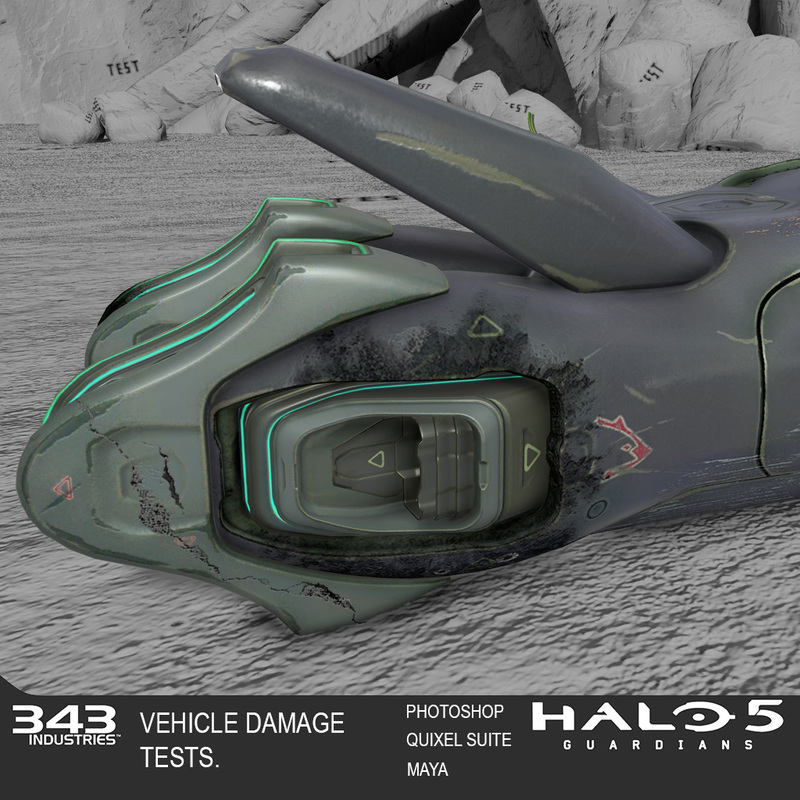 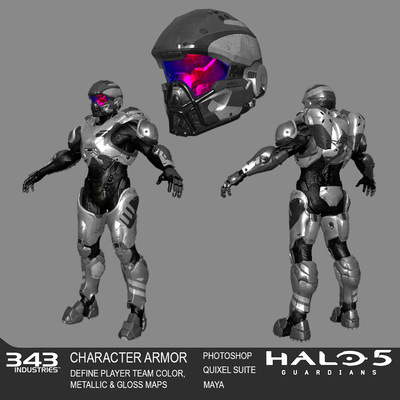 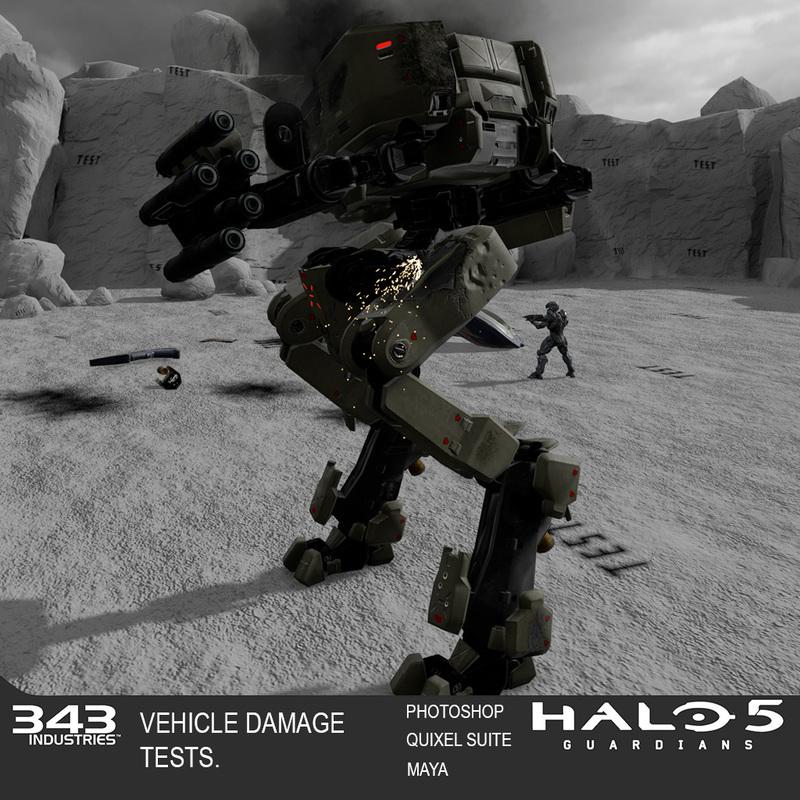 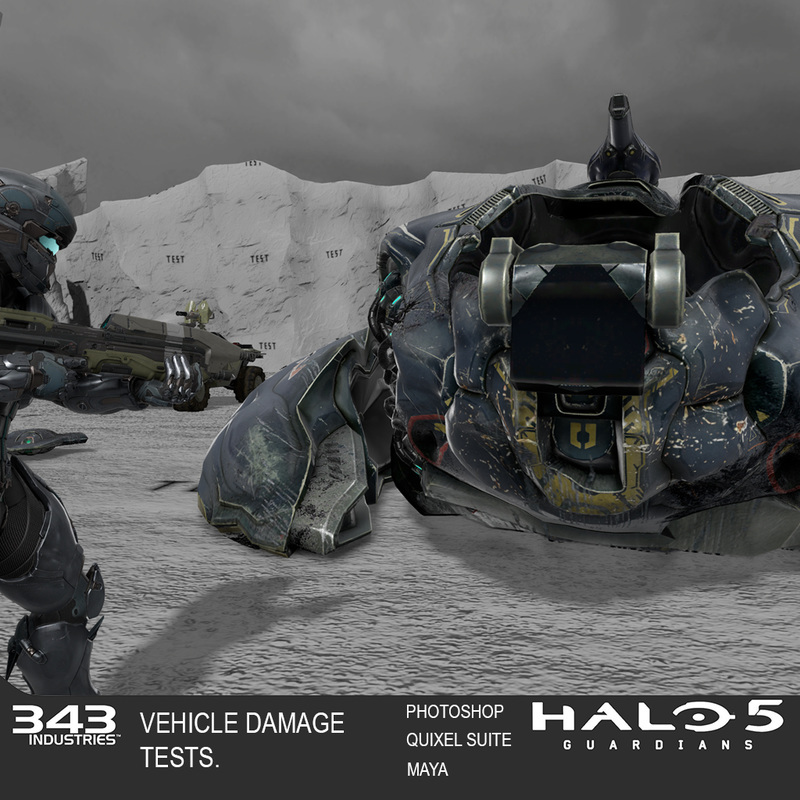 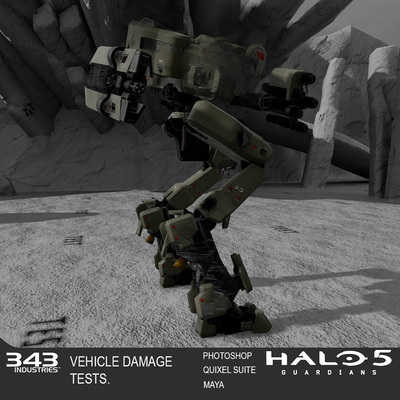 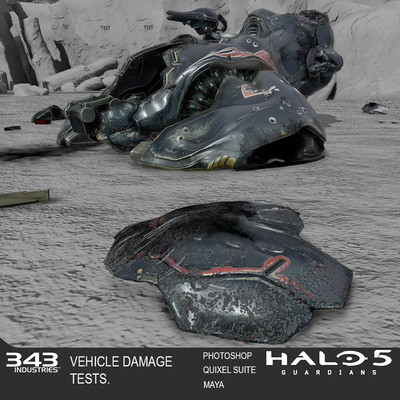 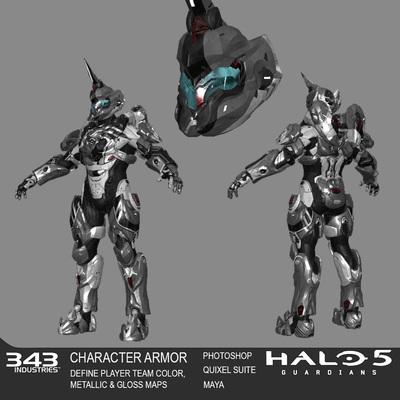 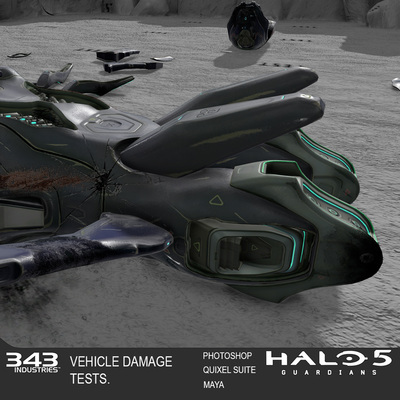 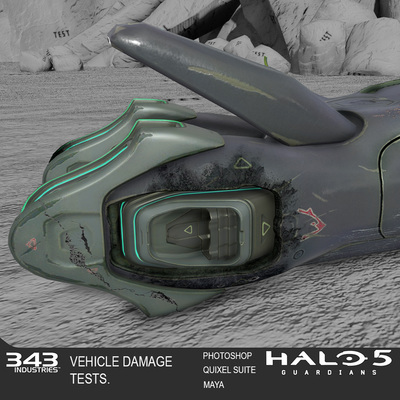 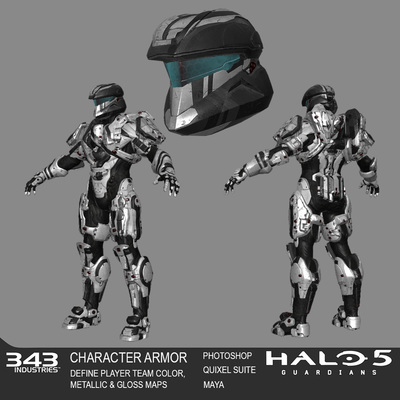 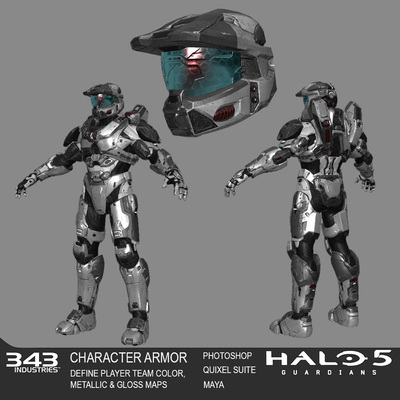 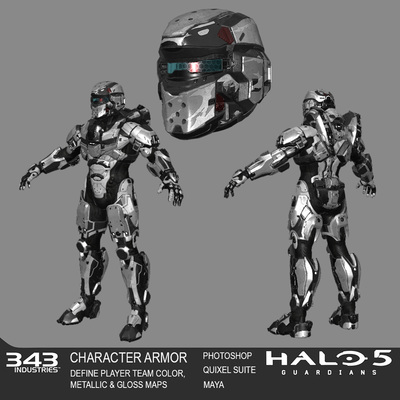 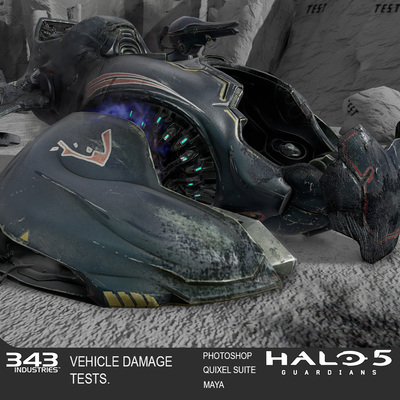 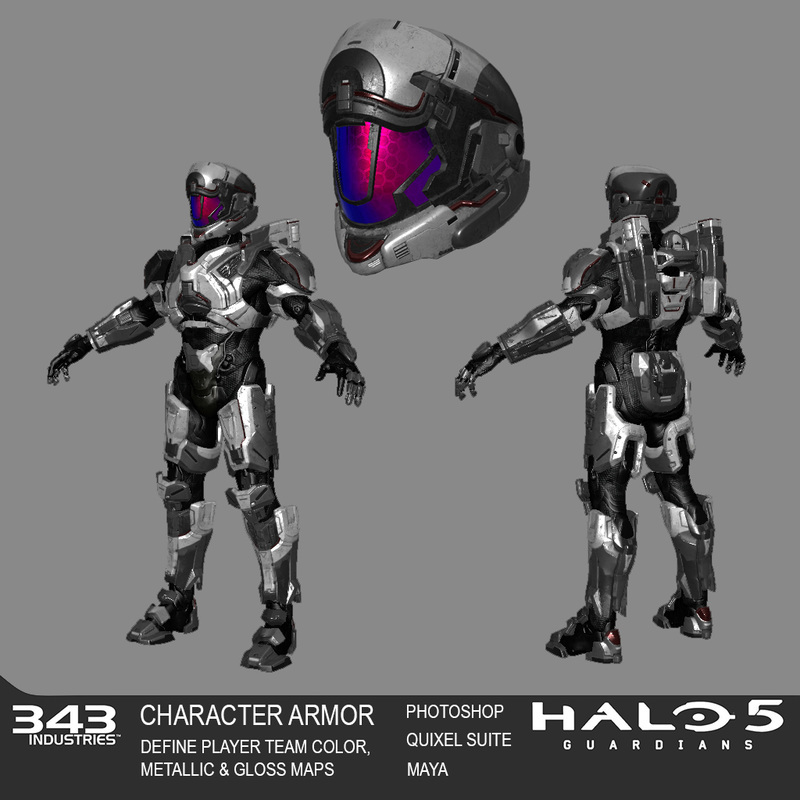 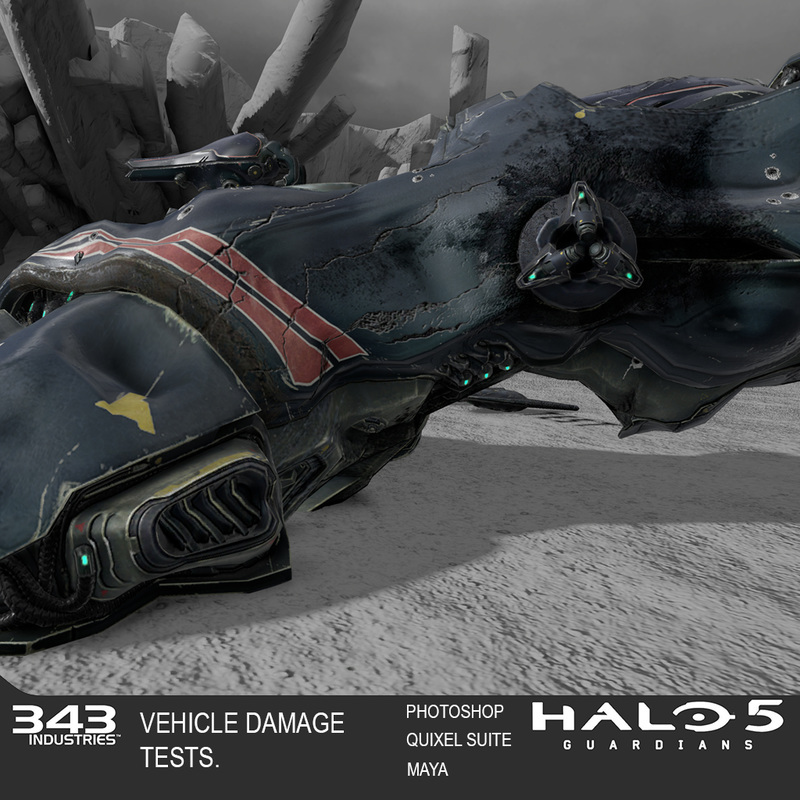 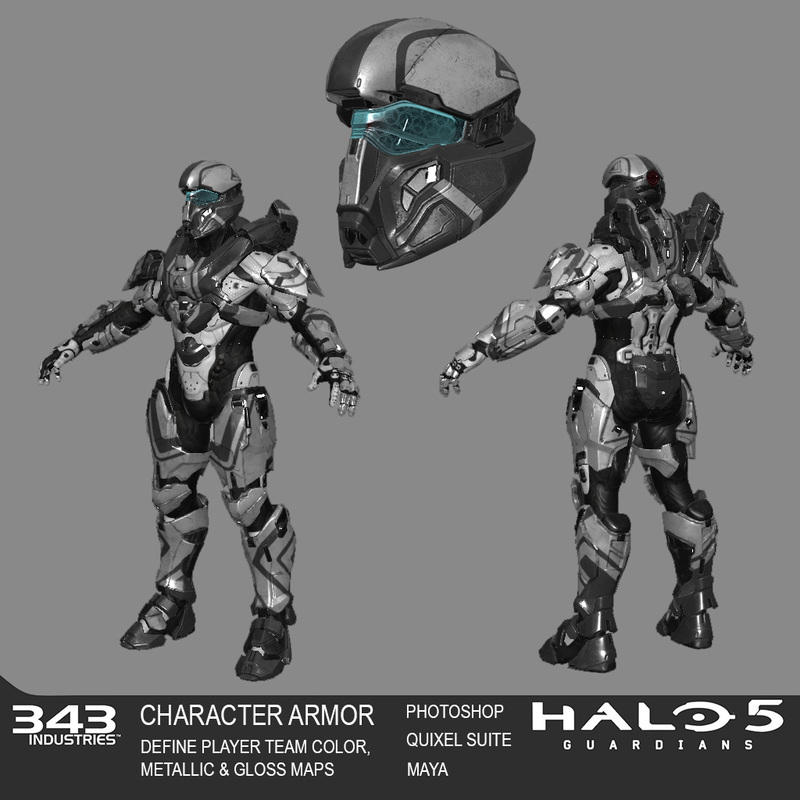 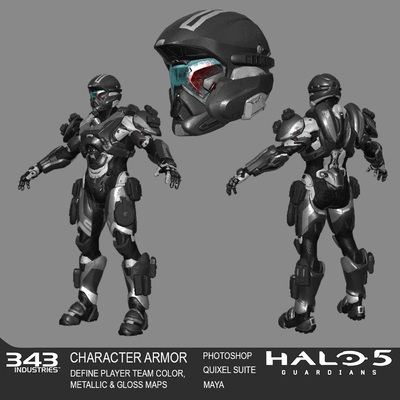 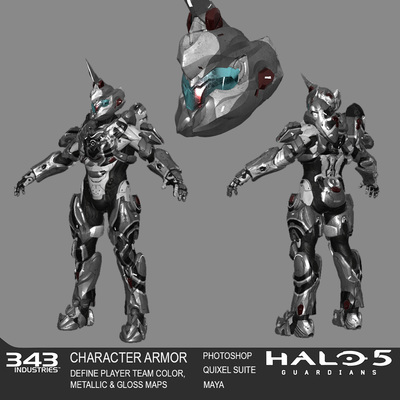 My job at 343 Industries was as a 3D Asset Wrangler. 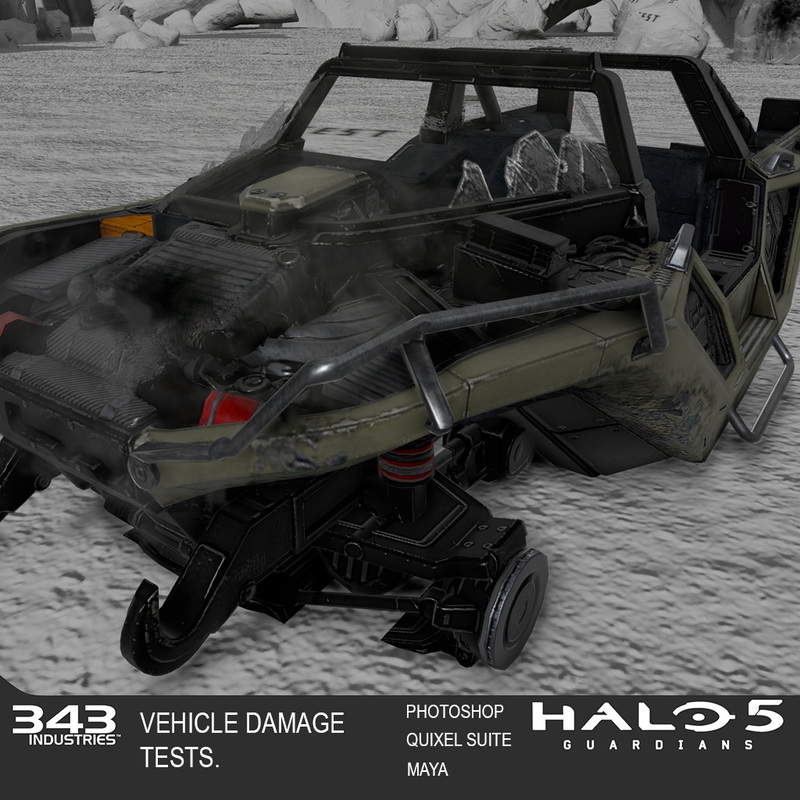 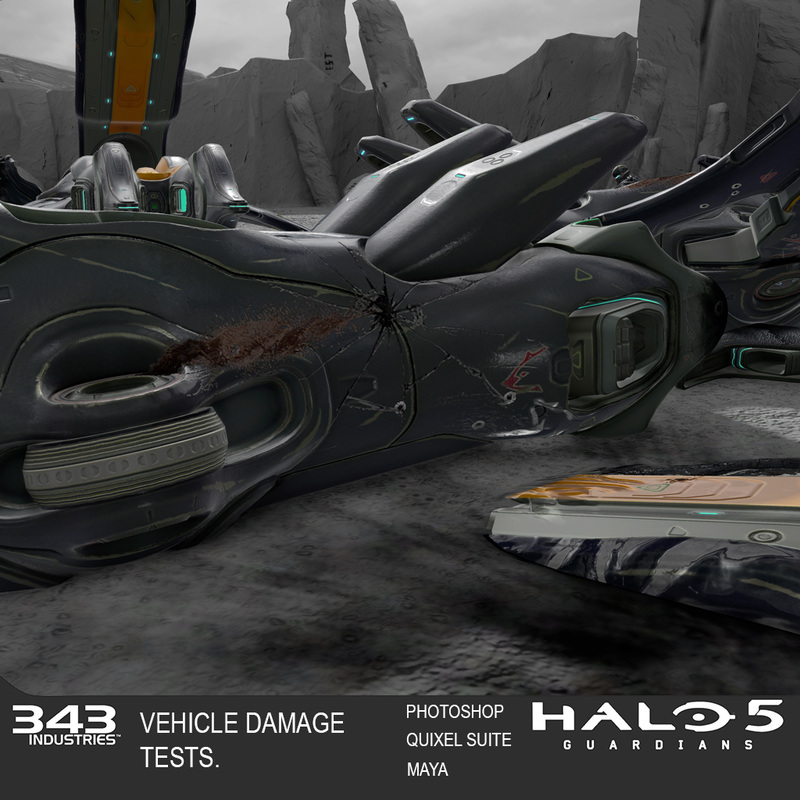 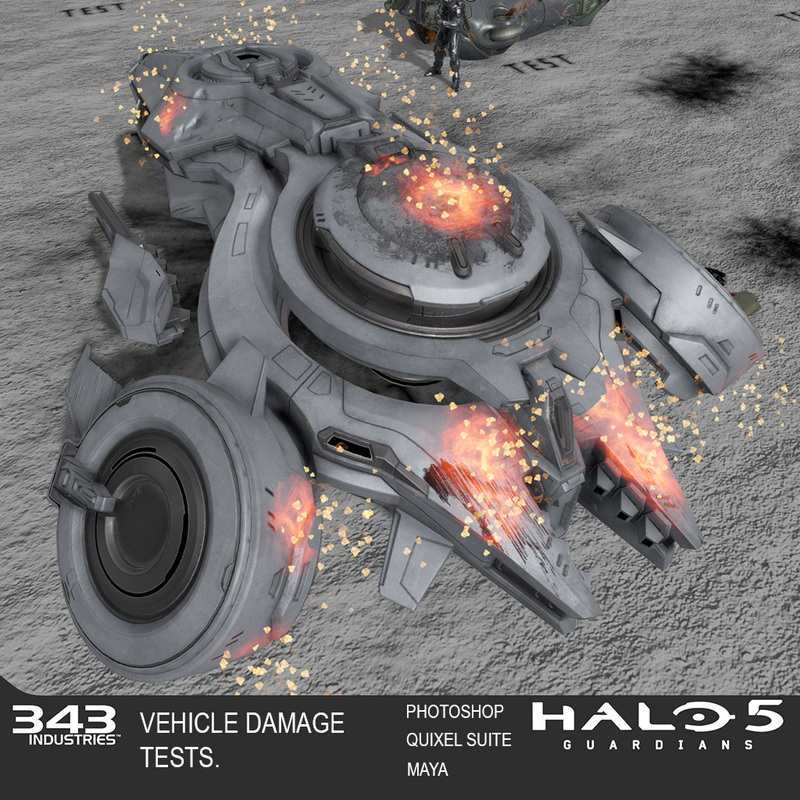 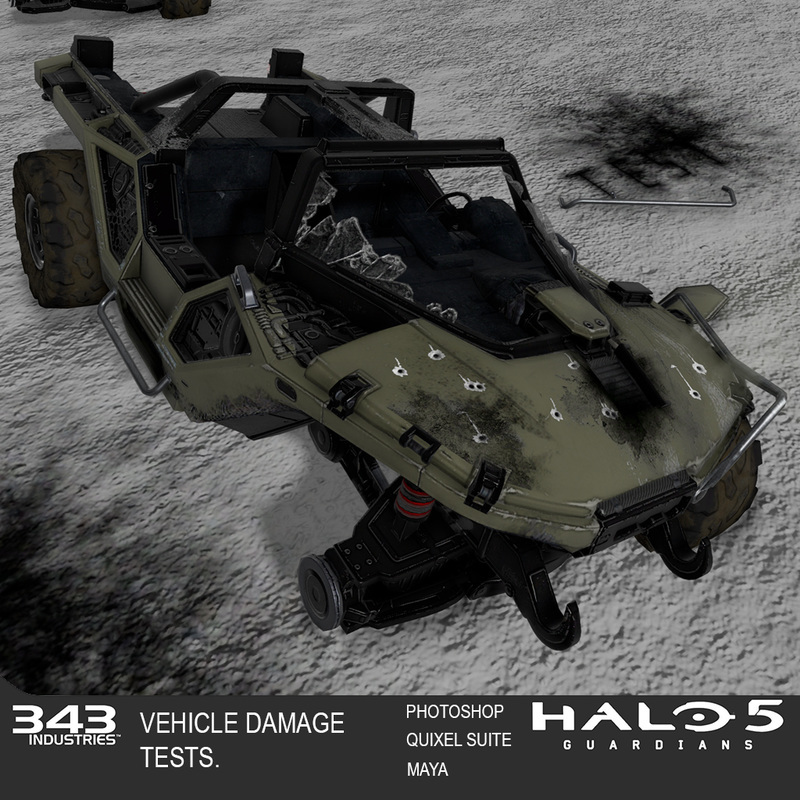 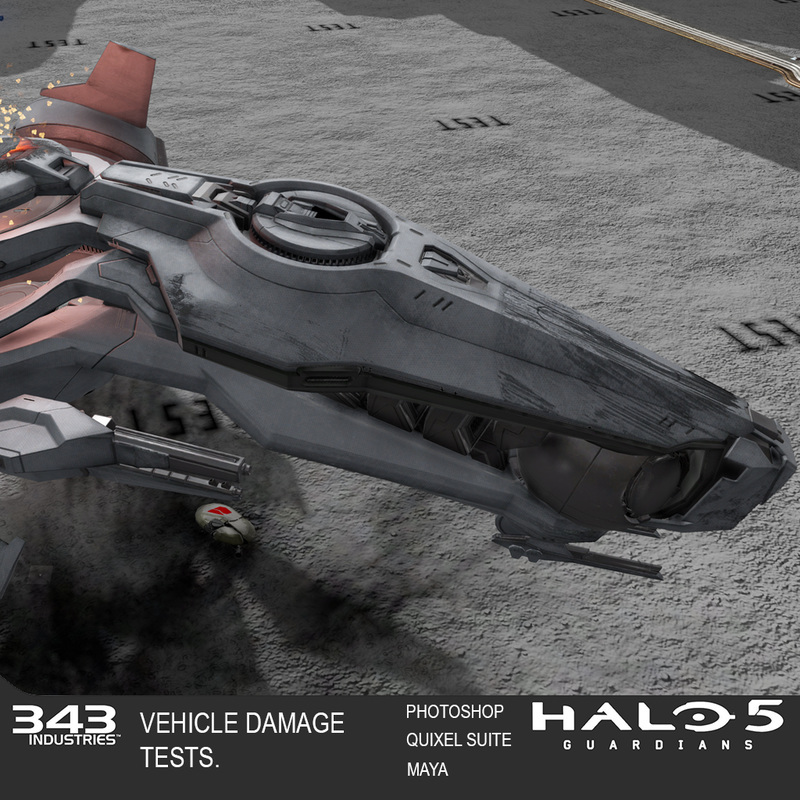 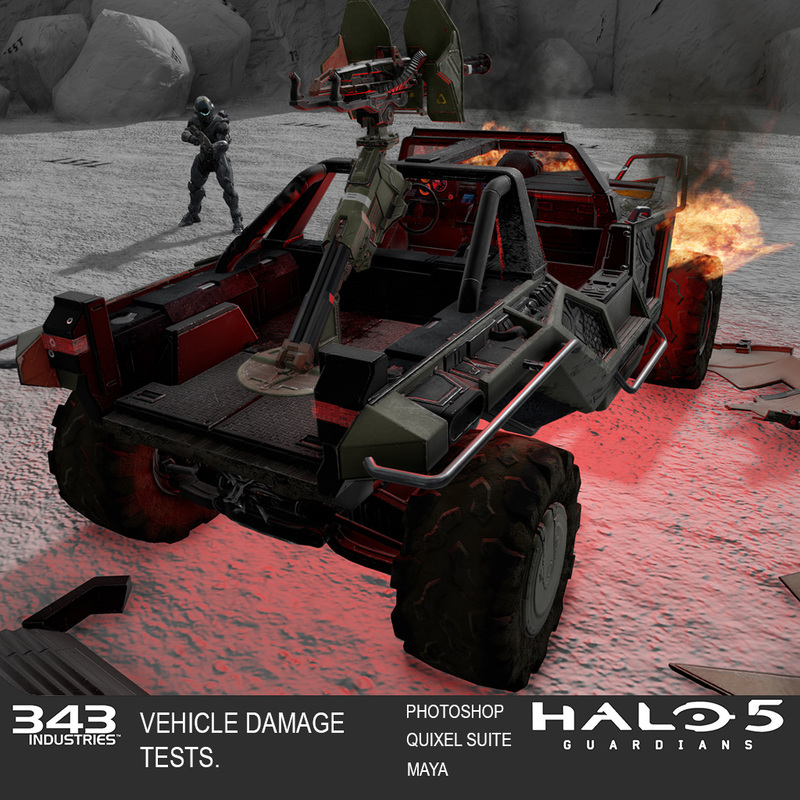 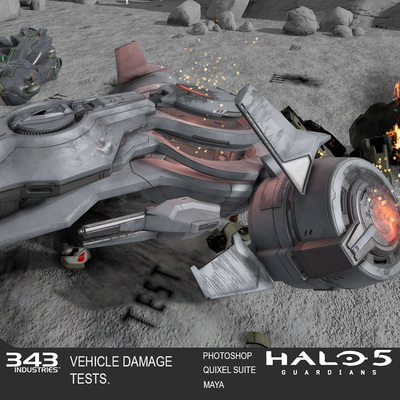 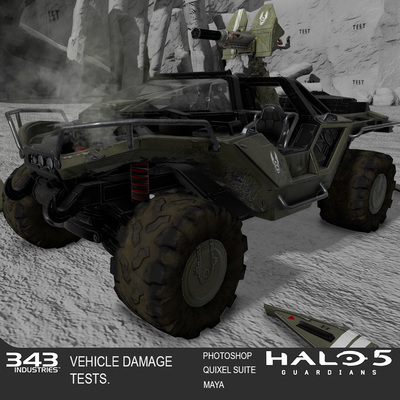 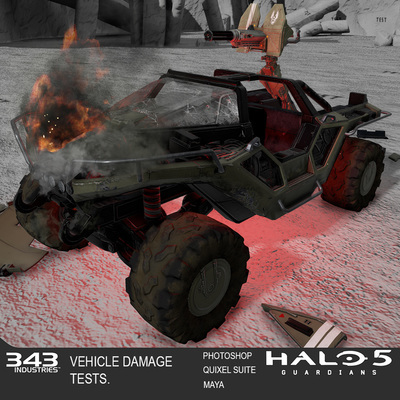 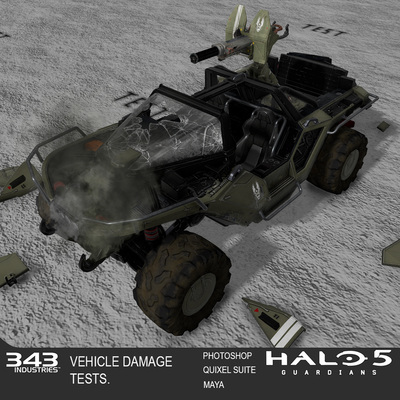 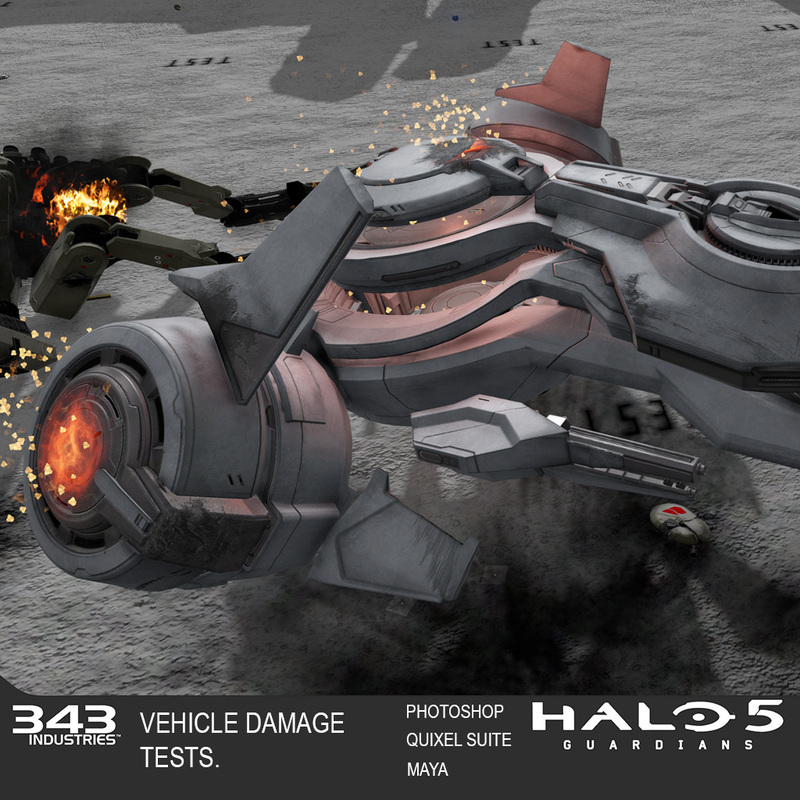 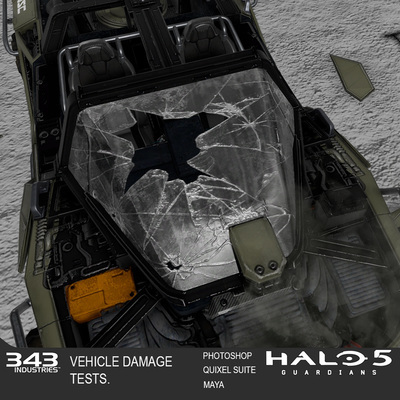 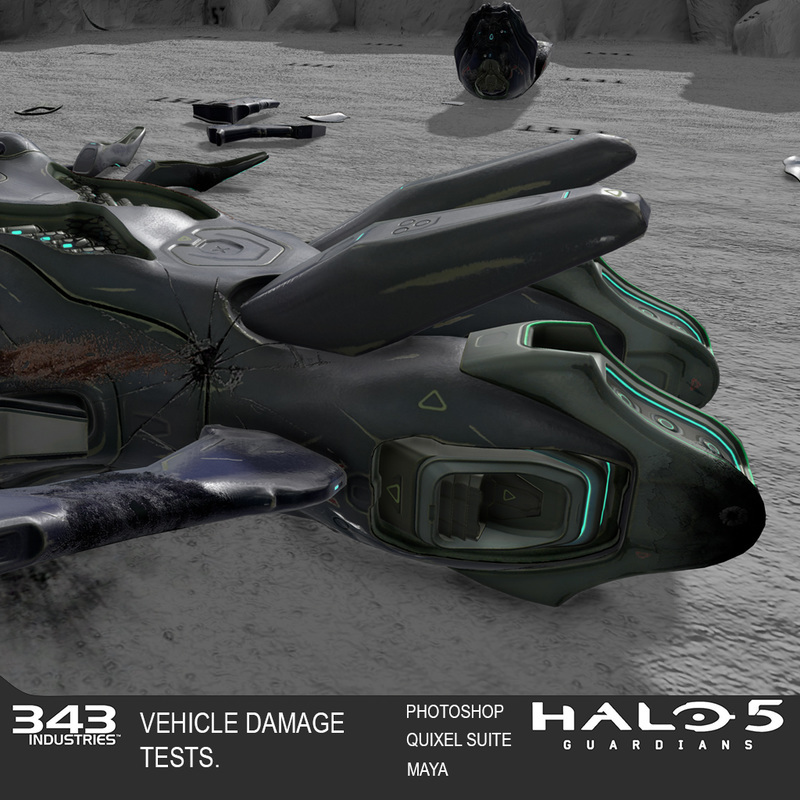 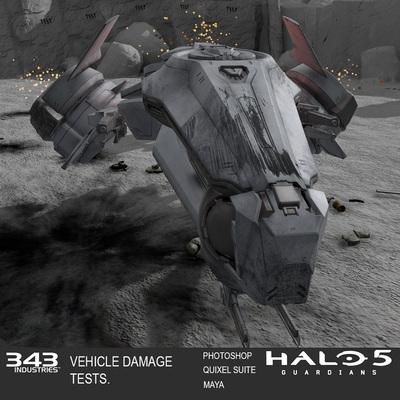 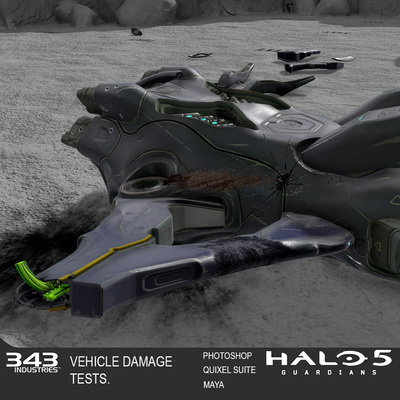 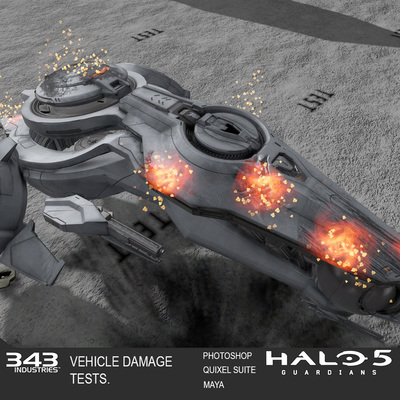 One of my main tasks were to create, markup, implement & test the various damage states for some of the multiplayer vehicles. 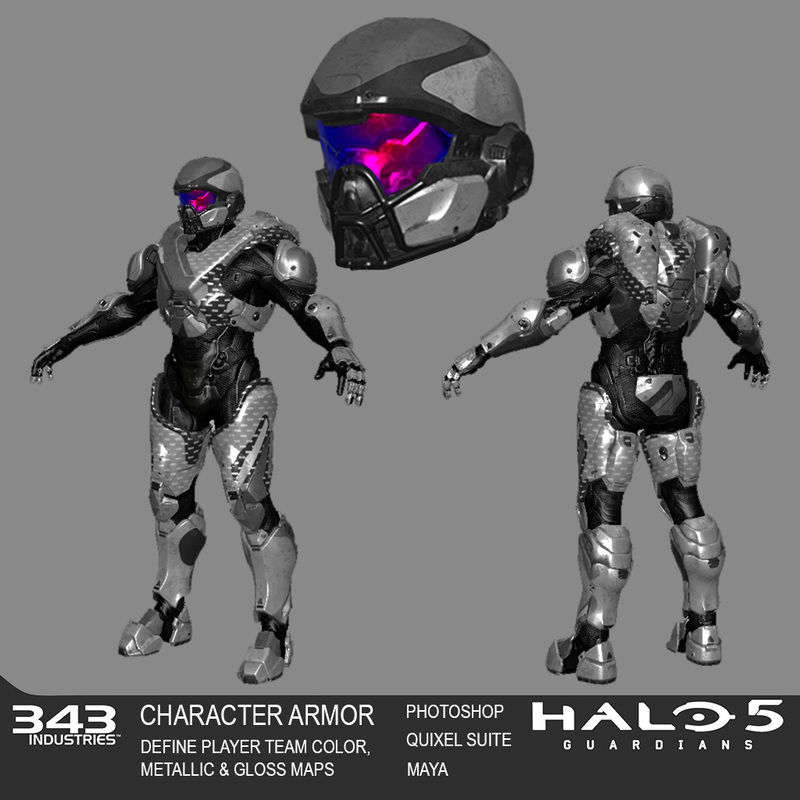 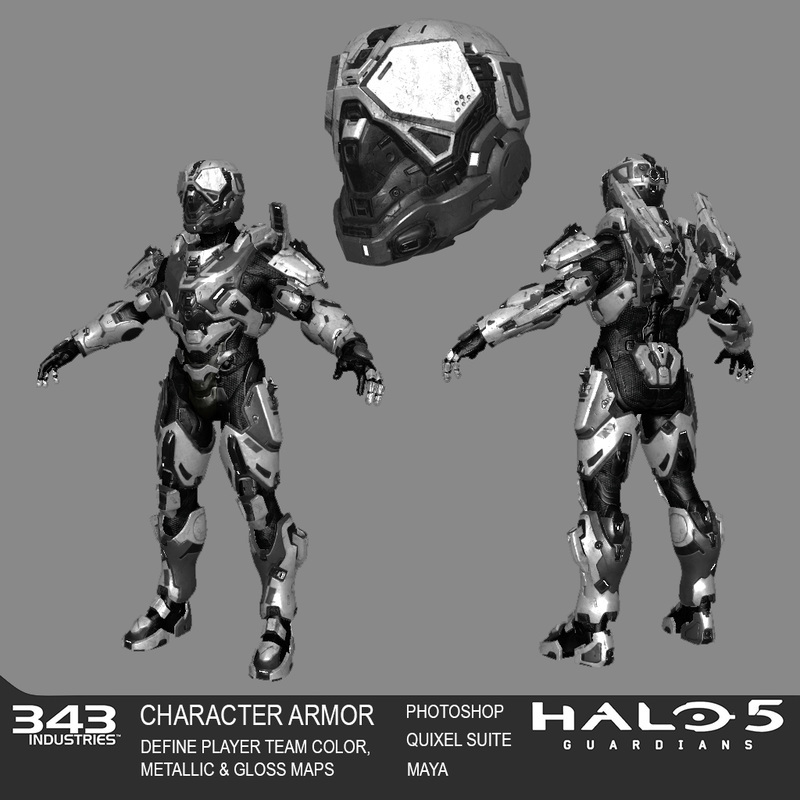 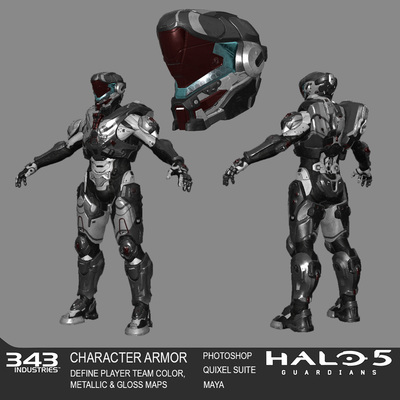 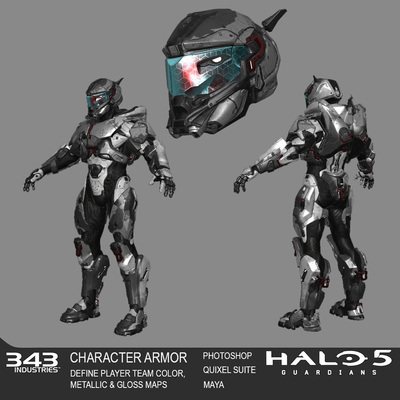 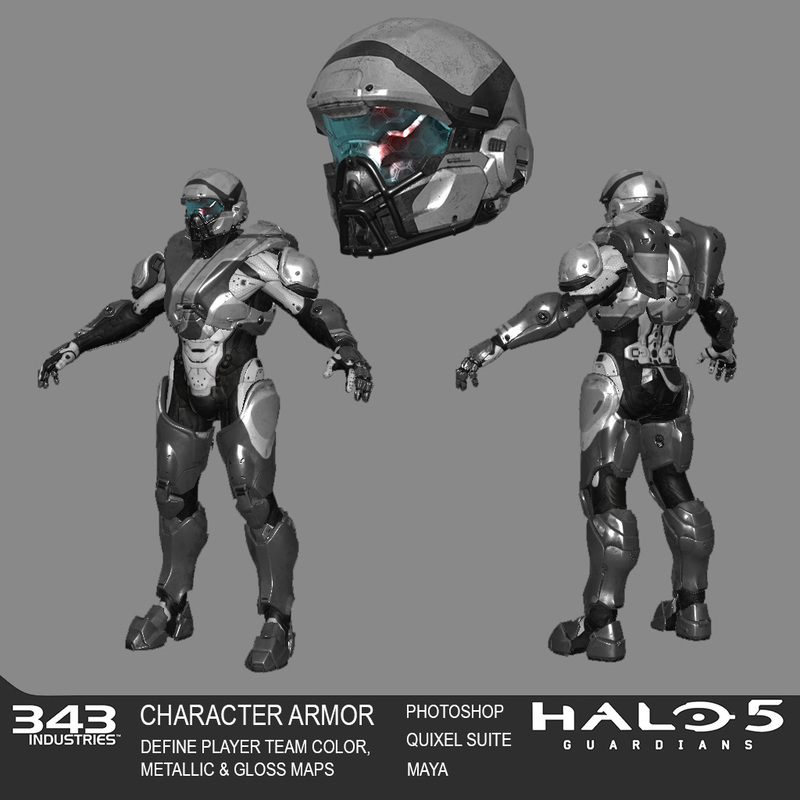 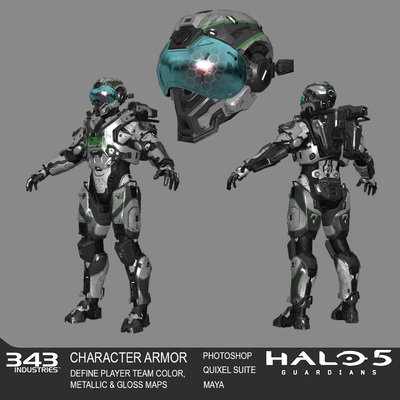 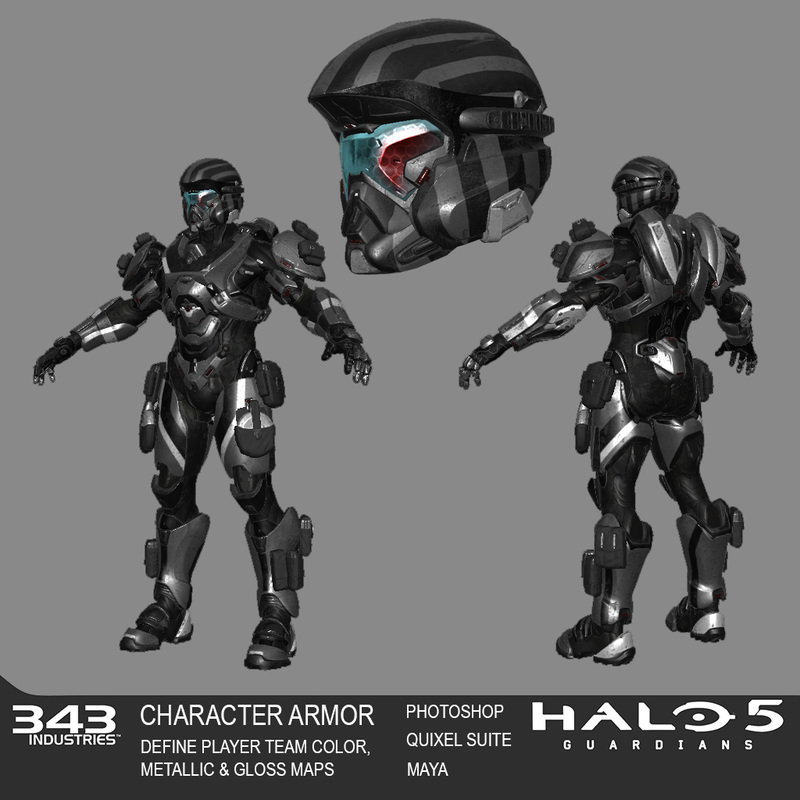 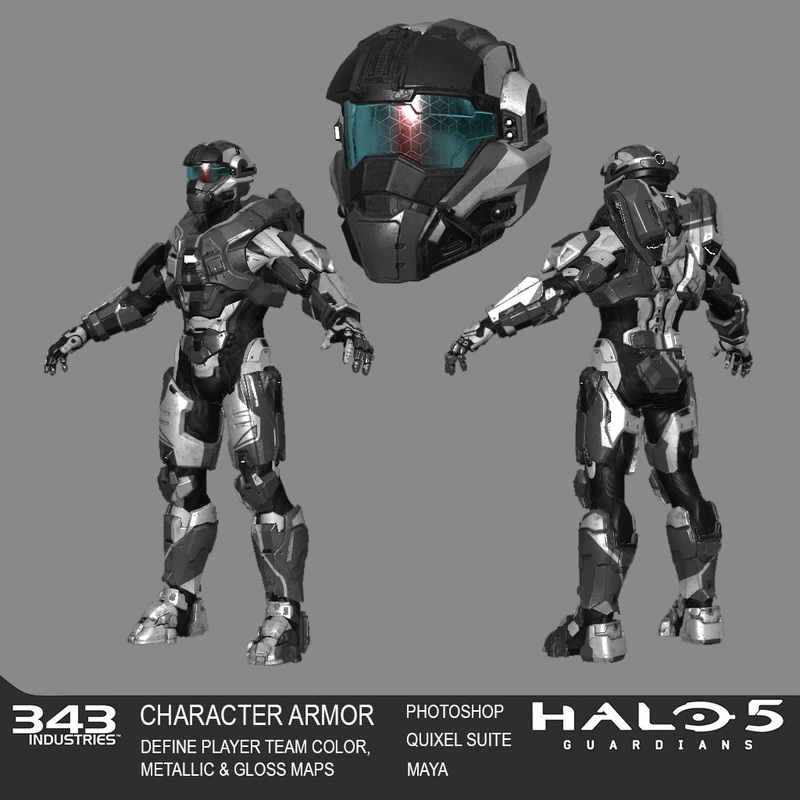 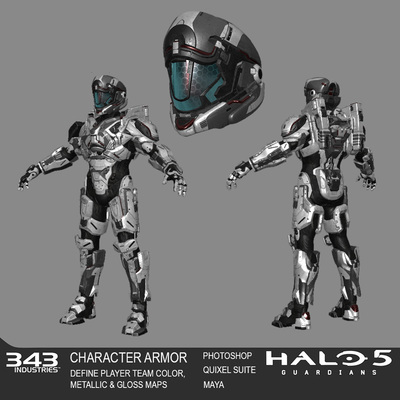 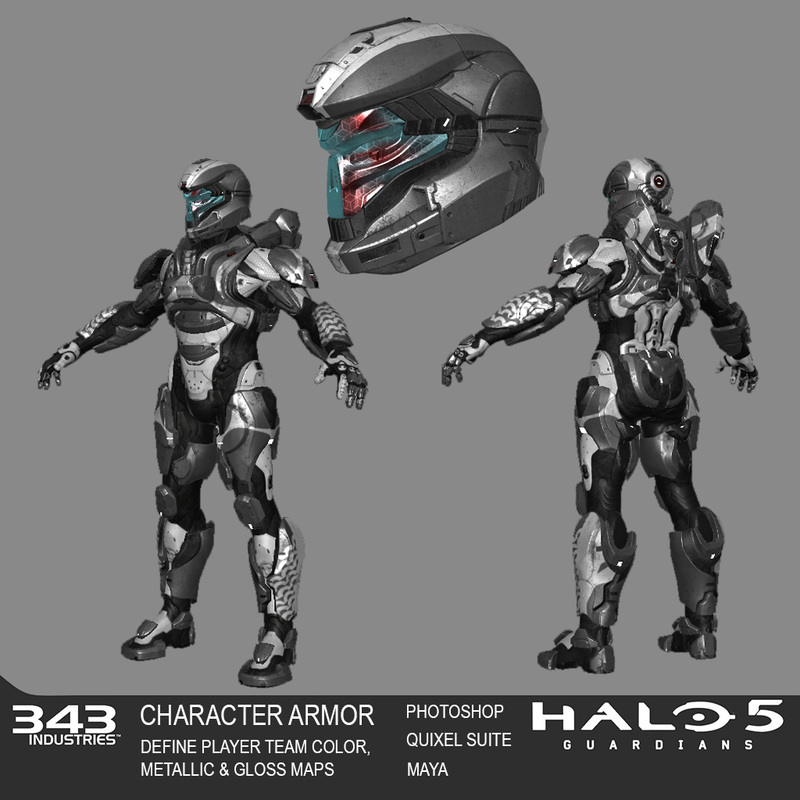 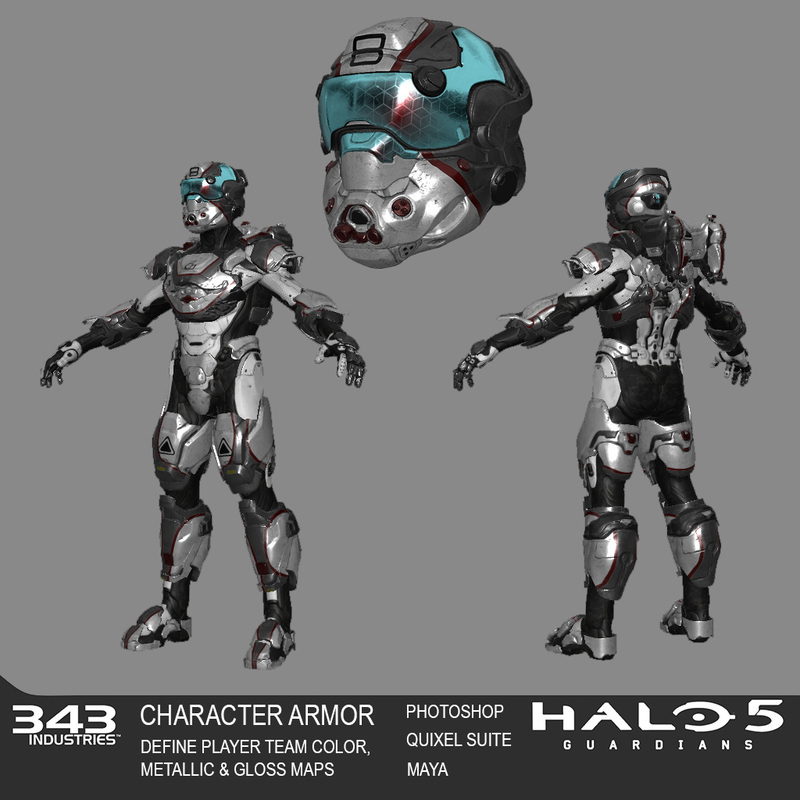 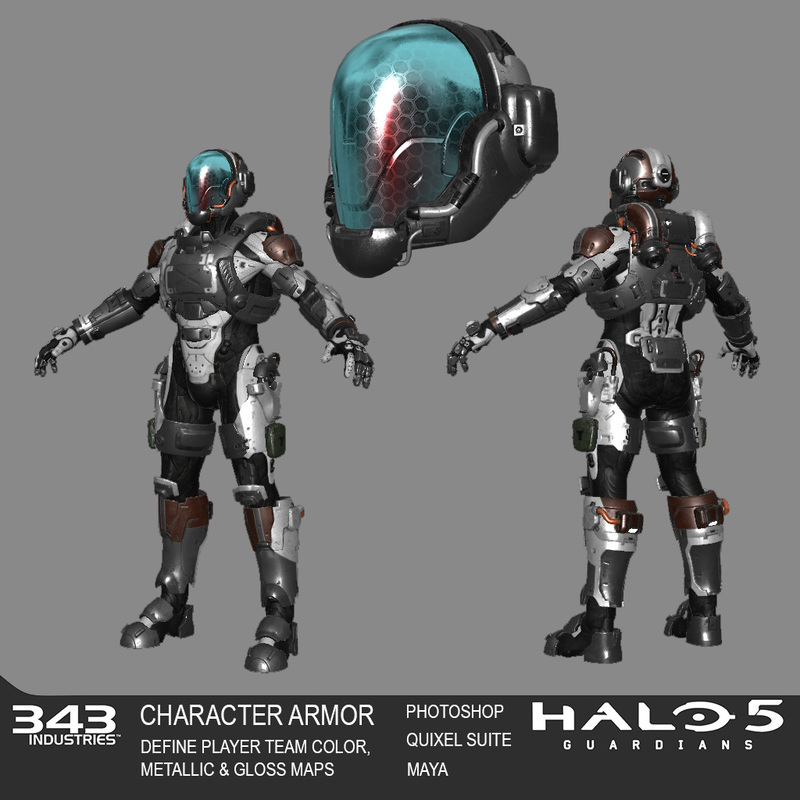 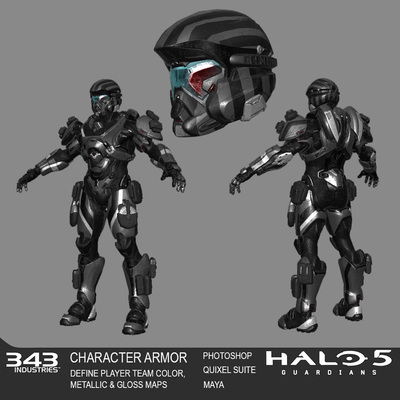 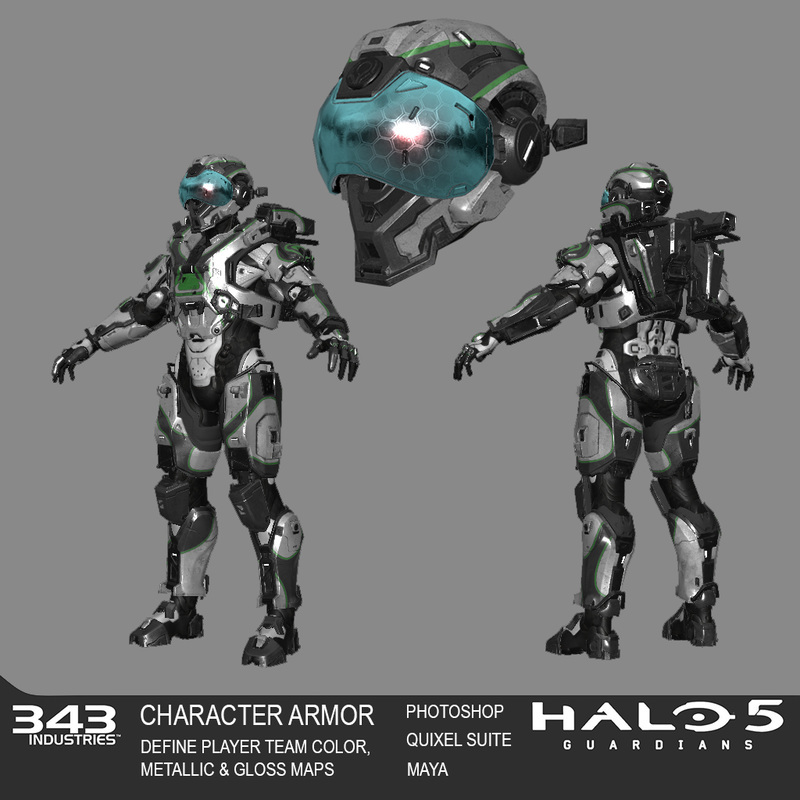 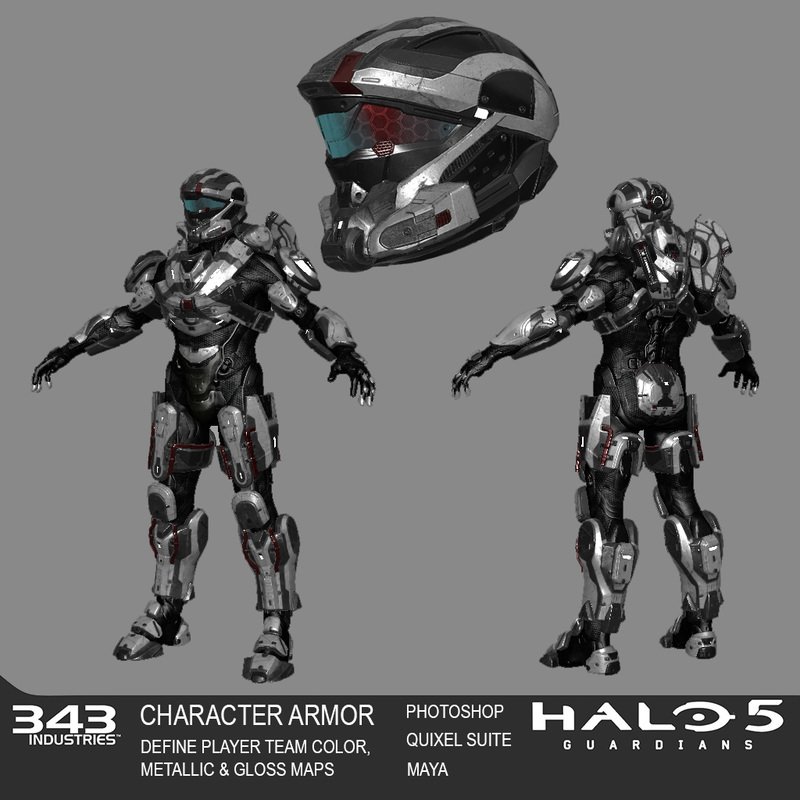 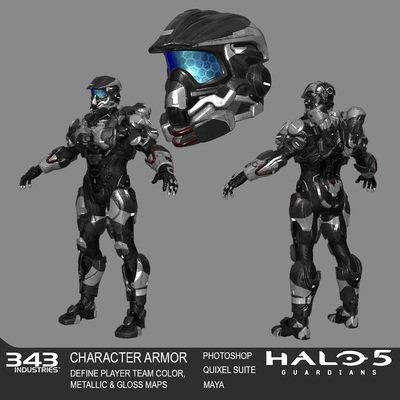 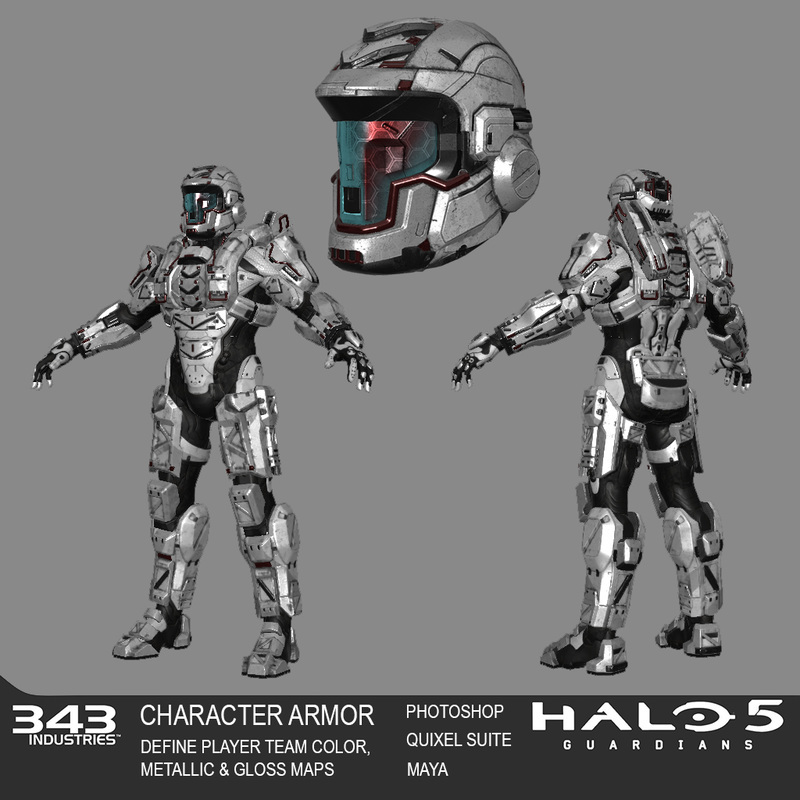 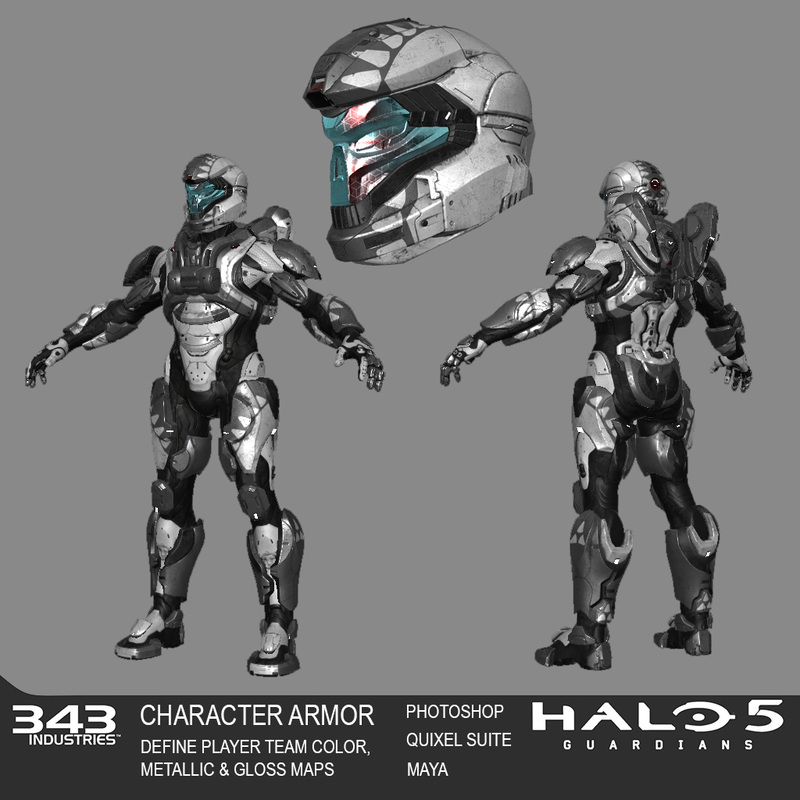 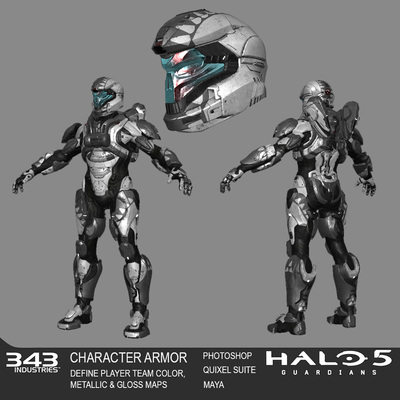 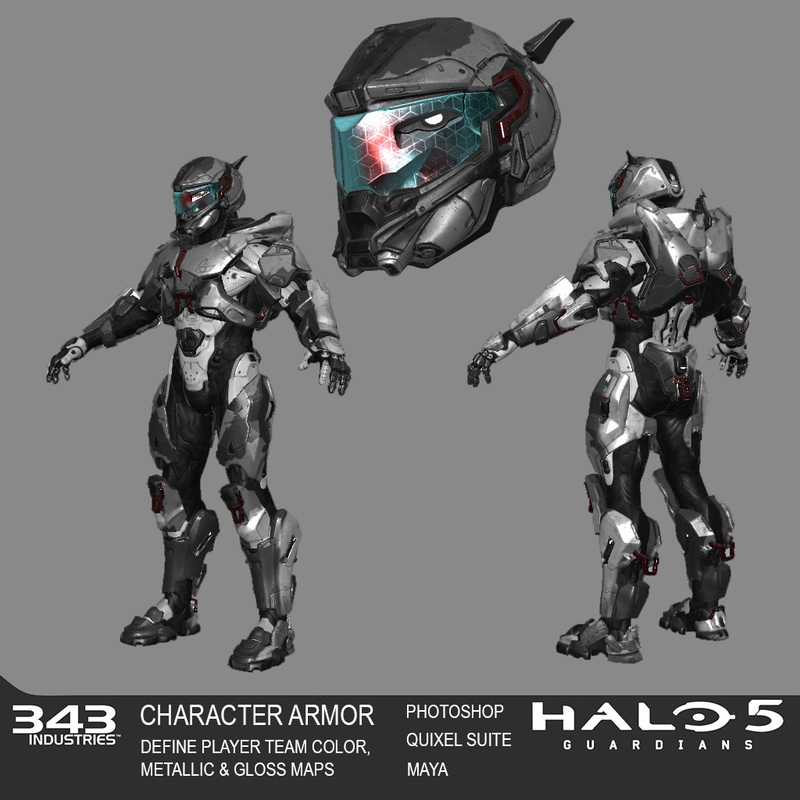 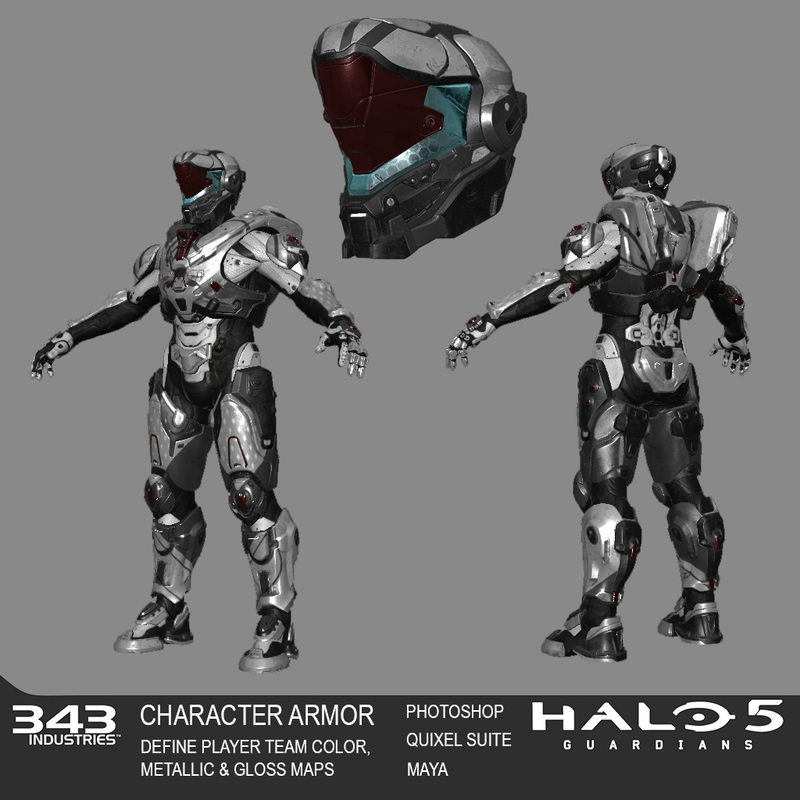 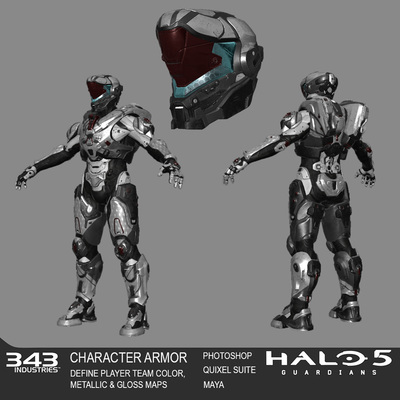 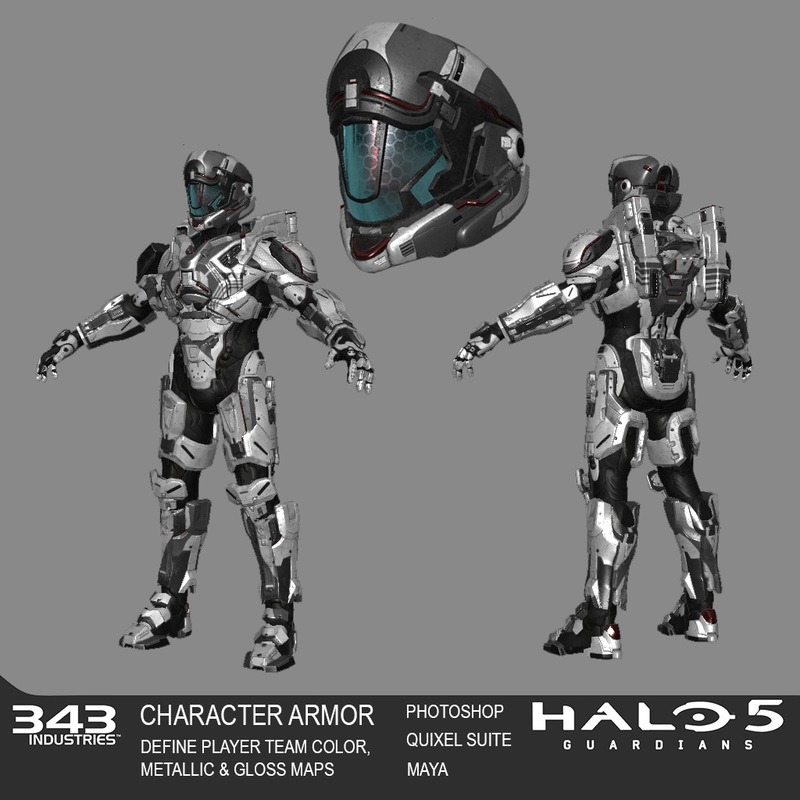 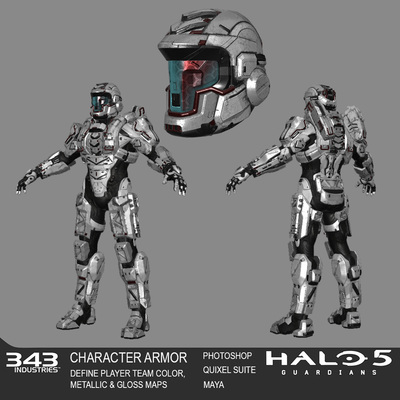 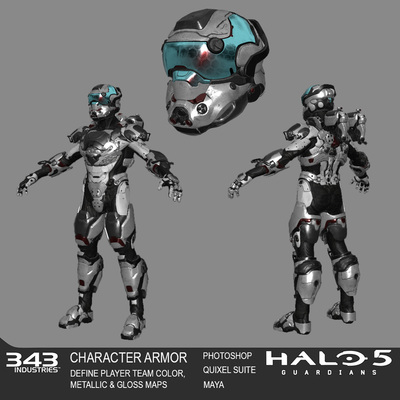 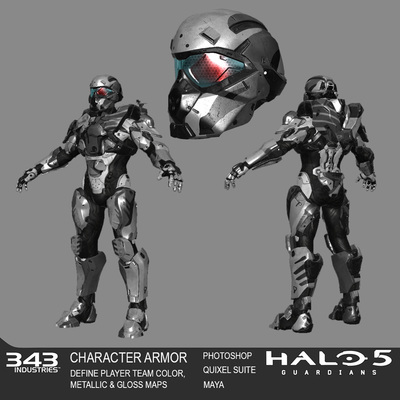 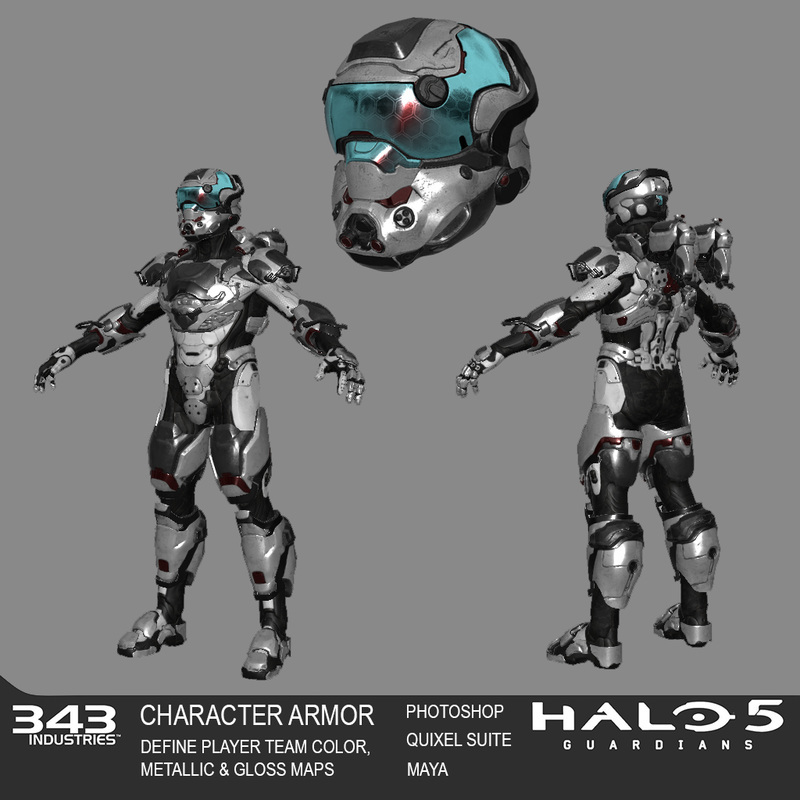 The other task was to texture and test in engine some of the Multiplayer Armor skins from internal and outsourced artists using Photoshop & Quixel Suite.